Published: 2014-04-13, by Manu Galvez. If you cannot help checking updates on your team, opponents, leagues and cups every other minute, that means your love for football/soccer goes far beyond the scores briefing. If so, you will be glad to read that there's an app for you. 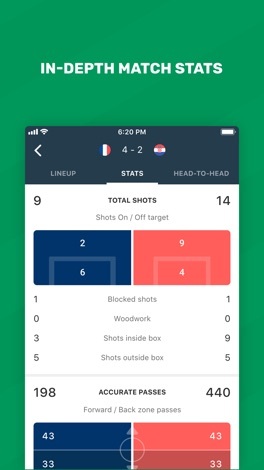 NorApps' Soccer Scores - FotMob is a full-featured sports news app which includes almost everything you may need to be in the loop 24/7. 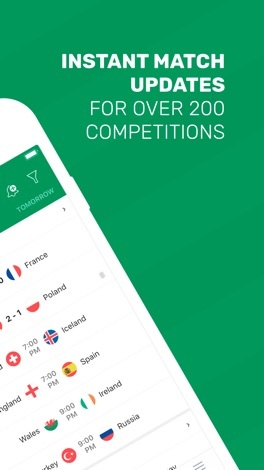 First, it displays a daily list of played, ongoing and scheduled matches. You can follow up the matches checking the scores, reading the match facts, lineup, table and stats. Ongoing matches can also be listened to in various languages (on local radio stations). You can customize the info you get: for example, you can fav to follow and enable notifications for specific leagues and teams. Those selections will be brought to the top of the global scores list and will be included in "Tables & News" section on the left-side menu for a quick access to them. You can always re-select teams and leagues at your whim. 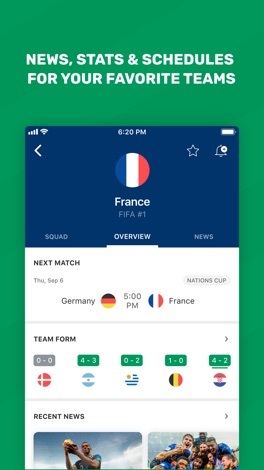 In addition, you can check at any time all matches, all ongoing, top news and even special sections like "Brazil 2014" which brings together news, teams info and media content about the most-anticipated World Cup. Besides a well-crafted Holo-style interface which is both intuitive and smooth, one of the strongest points of the app is the custom push notifications. 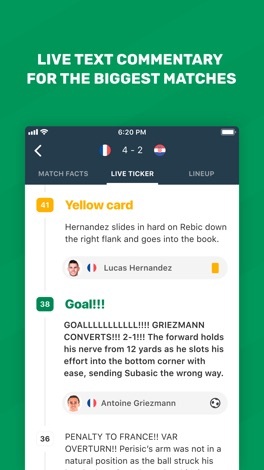 You can freely choose goal sound, goal sound for favorite teams, start and finish match sound and vibrate on score alert. You can even choose the score polling interval. I'm only missing detailed info for players and having the chance to add own news sources via RSS. Regardless, a must-have for any soccer passionate. Anyone can be a football genius. 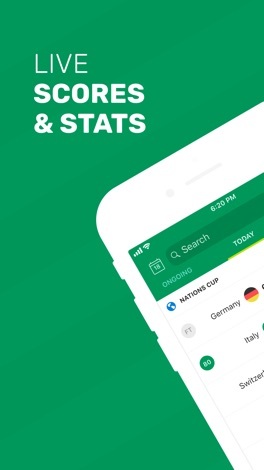 FotMob gives you all the scores, stats, and storylines to keep you up to speed with the world of soccer. Personalized news and notifications make it easy to follow your favorite teams and players. And lightning quick live updates make sure you never miss a moment, no matter where you are. • Coverage for over 200 competitions including: Premier League, La Liga, Serie A, Bundesliga (1, 2 & 3), Ligue 1, MLS, USL, Champions League, Liga MX, FA Women’s Super League, Eredivisie, FA Cup, the Championship, EFL, Scottish Premier League, and more. FotMob has something special in-store to help you follow the world’s biggest event.